A native of Baton Rouge, Dr. Elliot T. Hardy earned a bachelor’s degree from Tulane University before attending the LSU School of Medicine in New Orleans, where he received his medical degree in 2011. 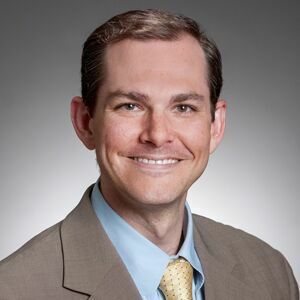 After completing his Residency in Otolaryngology-Head & Neck Surgery at the University of Mississippi Medical Center, Dr. Hardy returned home in the summer of 2016 to join the ENT Department at The Baton Rouge Clinic. Staying active in his field of medicine, Dr. Hardy was a Junior Inductee into the Alpha Omega Alpha honor medical society, where he served as President of the Louisiana Beta Chapter from 2010 to 2011. He is also a member of the American Medical Association, both the LA and MS State Medical Societies, the American Academy of Otolaryngology-Head & Neck Surgery, and the American Academy of Facial Plastics and Reconstructive Surgery. A member of the local St. Aloysius Catholic Church and an alumnus of University Lab School, Dr. Hardy enjoys spending time with his wife Lindsey and their child. In his spare time he loves to fish and golf. Dr. Hardy is licensed in the state of Louisiana and is currently accepting new patients.